Panayia Eleousa Rehabilitation and Nursing home is a modern, purpose-built rehabilitation centre for people in need of special care and a speedy recovery. 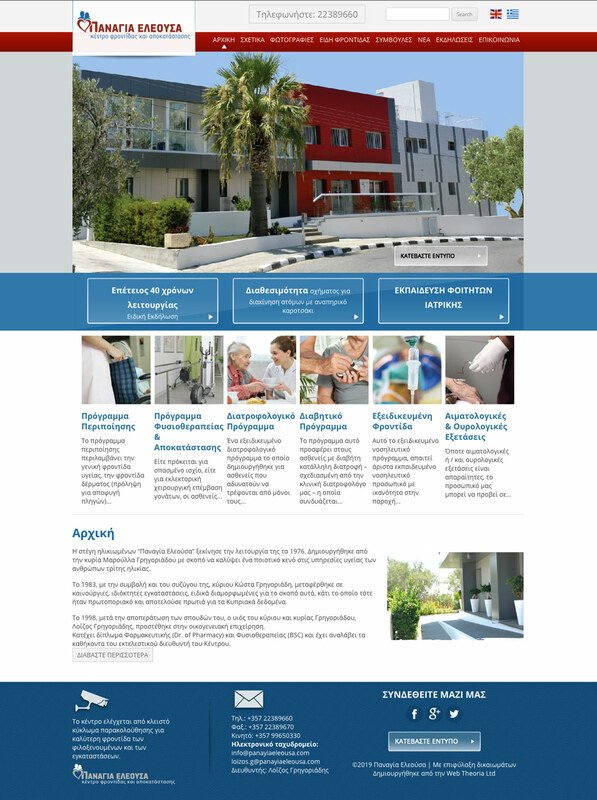 A proud Rehabilitation & Nursing home, and for good reason, Panayia Eleousa got in touch with us in search of a fully custom, tailor-made website to suit their needs and reflect their status. Coming up to their 40th Anniversary, they needed something that stands out, a website that would be modern, practical as well as able to accommodate all of the necessary content in a fluid manner. This is the result. Thank you for your input and collaboration. We wish all the best to all of your valued staff and guests.